Definition at line 119 of file llinventorymodel.cpp. Definition at line 122 of file llinventorymodel.cpp. 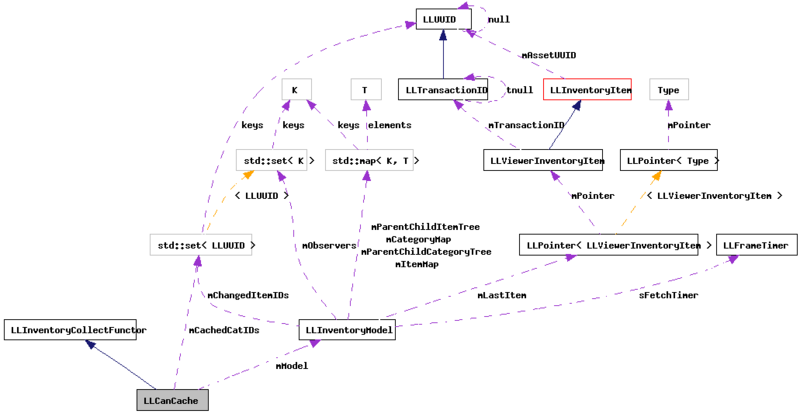 Definition at line 123 of file llinventorymodel.cpp. Definition at line 130 of file llinventorymodel.cpp. References c, LLDynamicArray< Type, BlockSize >::count(), LLInventoryModel::getDirectDescendentsOf(), LLInventoryObject::getParentUUID(), mCachedCatIDs, mModel, S32, and LLViewerInventoryCategory::VERSION_UNKNOWN. Definition at line 127 of file llinventorymodel.cpp. Definition at line 126 of file llinventorymodel.cpp.